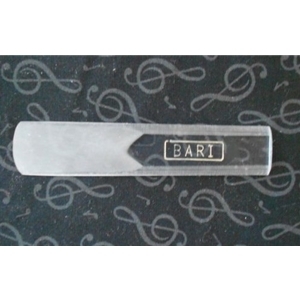 Bari's synthetic composite reeds offer 100% consistency. Every reed plays, and the reed is very durable. It does not warp or squeak like cane, regardless of the environment. Note: Many players consider the tone quality of plastic reeds to be inferior to traditional cane. Nevertheless, players who prefer traditional cane reeds may want to have a Bari reed on hand as a reliable backup. Also handy for pit orchestra playing or situations that require fast instrument changes. Price displayed is for 1 reed.